At ISS Ltd we have extensive experience in growing Medical Sales Teams. Whether you are a new distributor in the market, an established family business or a manufacturer selling direct to the UK / Irish Market ISS Ltd will have the Medical Sales Rep for you. With over 9,000 connections on LinkedIn, a database of CVs, multiple advertising solutions and a network of connections developed over numerous years; whatever your need we can find the perfect fit. With a focus on Hospital Sales the network of candidates I represent sell a whole range of Capital Equipment, Devices, Consumables and Training Solutions. Covering all the main disciplines within Acute Hospital settings. Alternatively if you sell a Pharma Product (Primary / Secondary Care), or target Care Home Facilities we can develop a Recruitment Strategy for your business. 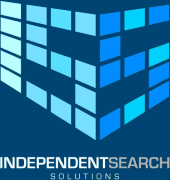 If you would like to discuss how ISS Ltd can source you the best Medical Sales Talent in the market contact me directly, I meet all my new clients face to face and offer competitive new client fees.